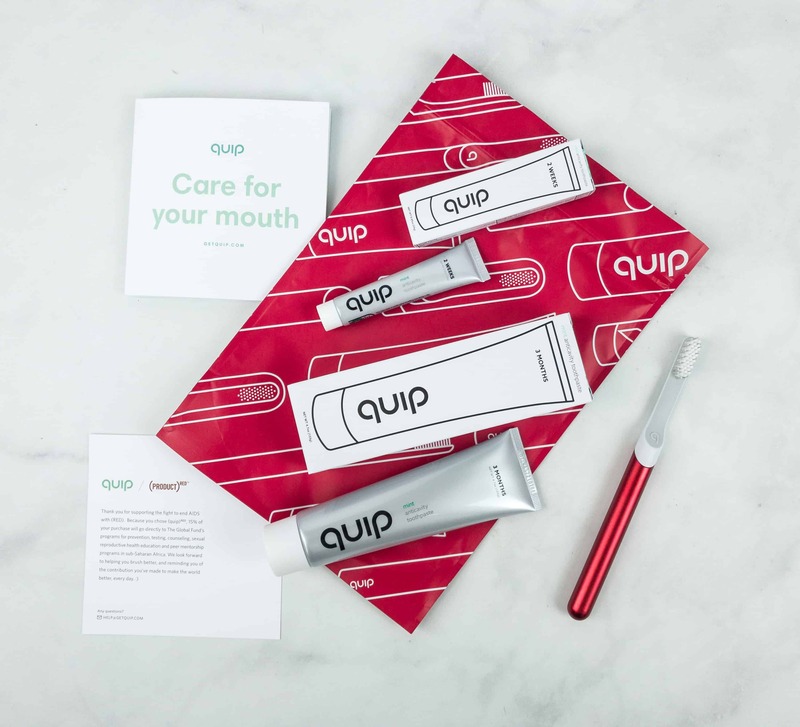 Quip offers a subscription plan for oral care products. 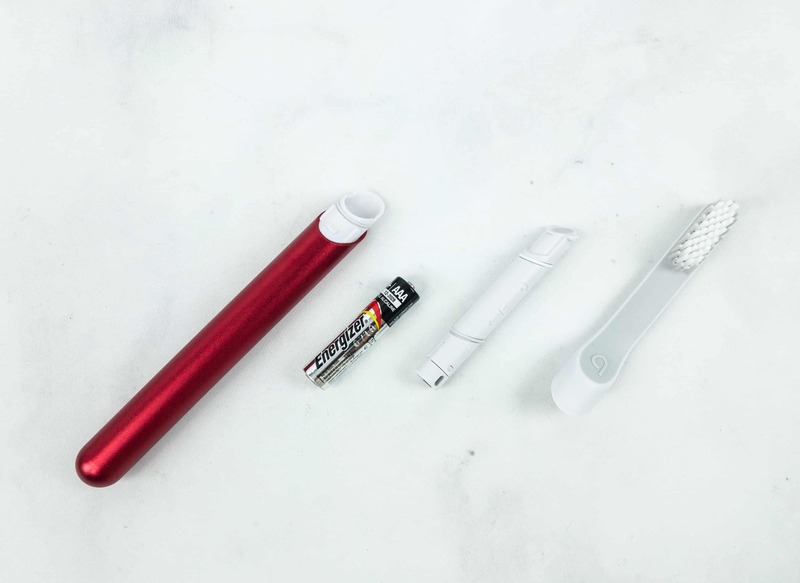 Starter sets start at $25, which includes a sonic vibrating electric toothbrush with timer mode, a handy holder that stands, suctions to walls and travels hygienically, plus optional anti-cavity mint toothpaste. Refill plans start at $5 and ship every 3 months. You can choose to prepay your refills or even get multiple starter sets in one pack, for a couple or family! Since there are 8 colors, you will never mix up your toothbrushes again! 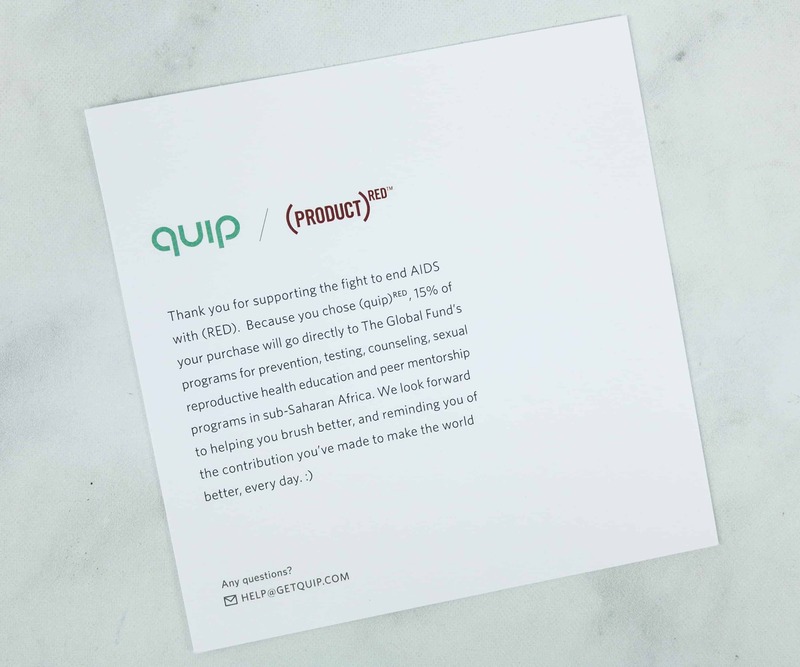 This is the review of a $40 starter set including a Quip Red toothbrush which supports the fight to end AIDS. According to the information card, 15% of the purchase will go directly to The Global Fund’s program. The program supports the prevention, testing, counseling, the sexual reproductive health education and mentorship program in Sub-Saharan Africa. 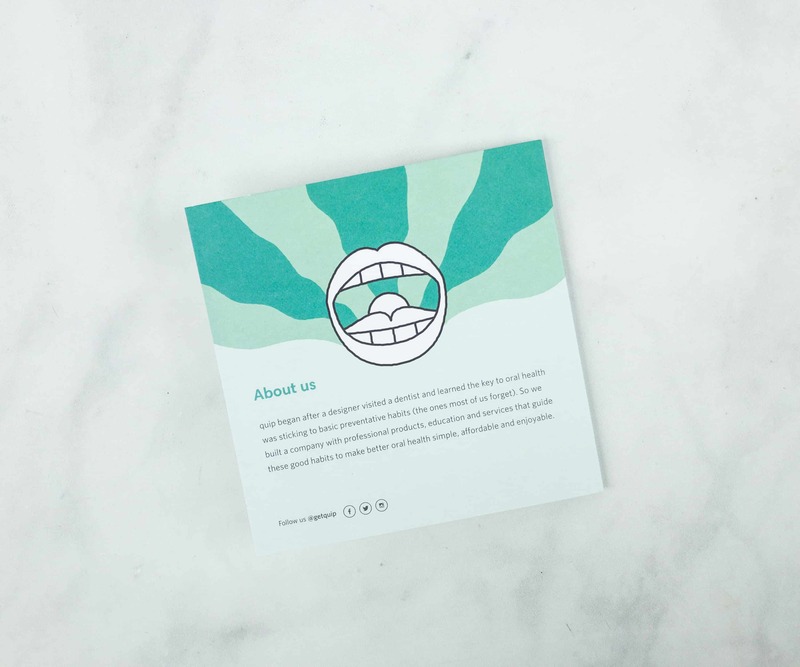 Your starter set also comes with an oral care booklet! It also features a chart of contents listing all the items inside the box. 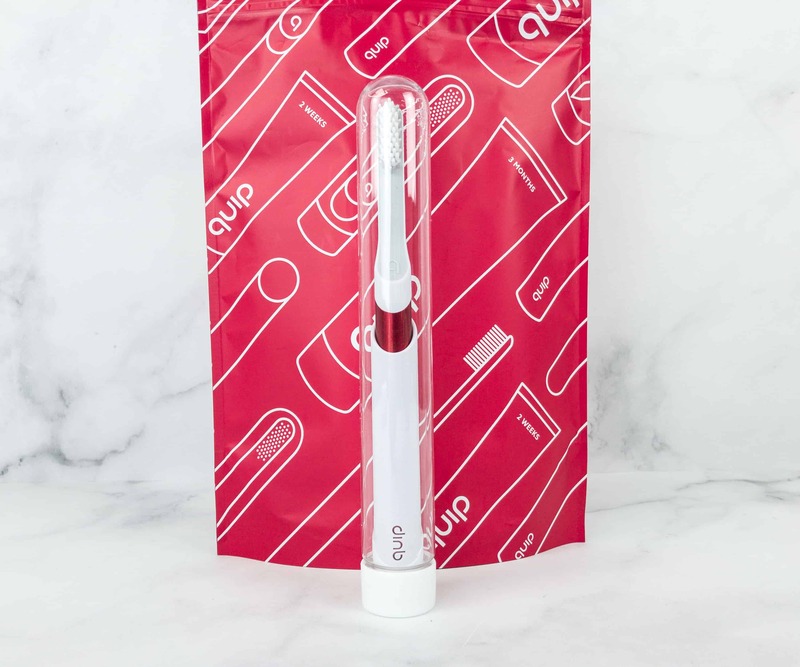 Quip Product RED Special Edition Electric Starter Set ($55) This brush is intended to enhance regular brushing routines without gimmicks, with a single beautiful design and your choice of color. 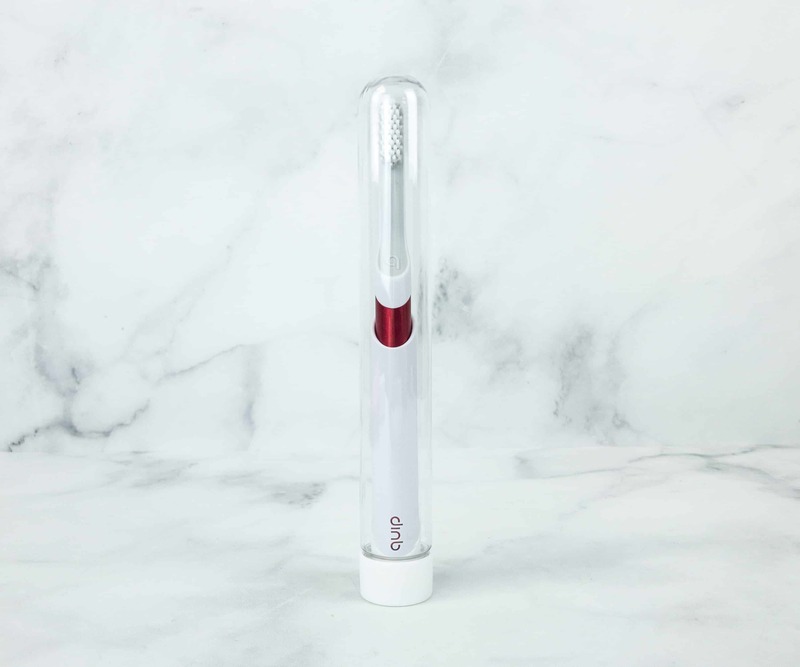 It’s a totally affordable electric toothbrush without unnecessary modes or too much power. This electric toothbrush includes a transparent, hard plastic cover. Simply slide the cover over the bristles for protection when in travel. 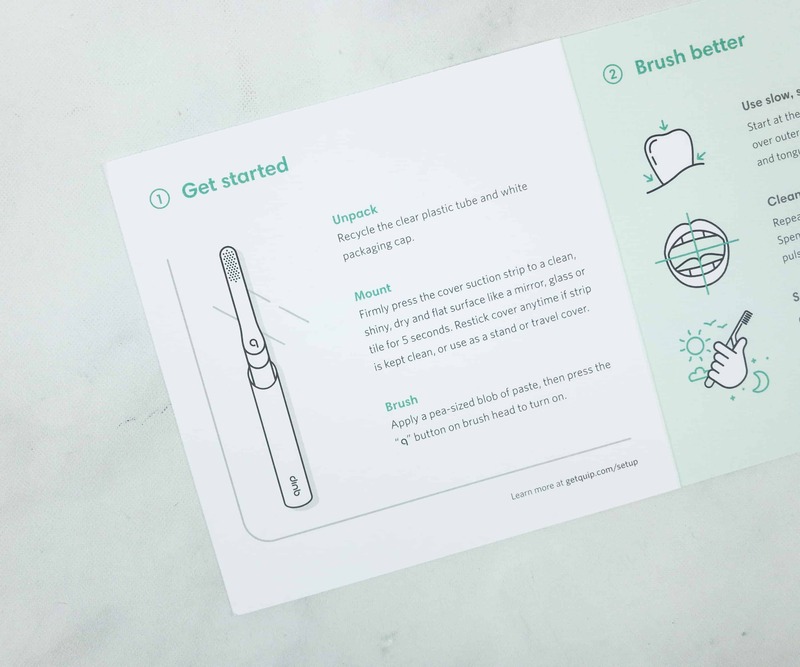 The booklet also includes a step-by-step procedure on how to prepare your brush. The brush kit also comes with a white base cap that protects the handle and keeping it unharmed while not in use. This base cap can be stuck to any clean, glossy, flat and dry; mirror, glass, or tiles. To attach, just remove the sticker and press the strip firmly into the surface for 5 seconds. You can also check the details at getquip.com/cover for a more detailed explanation. This electric toothbrush comes in three different parts: the handle, mechanism, and toothbrush head. It also includes a triple A battery. 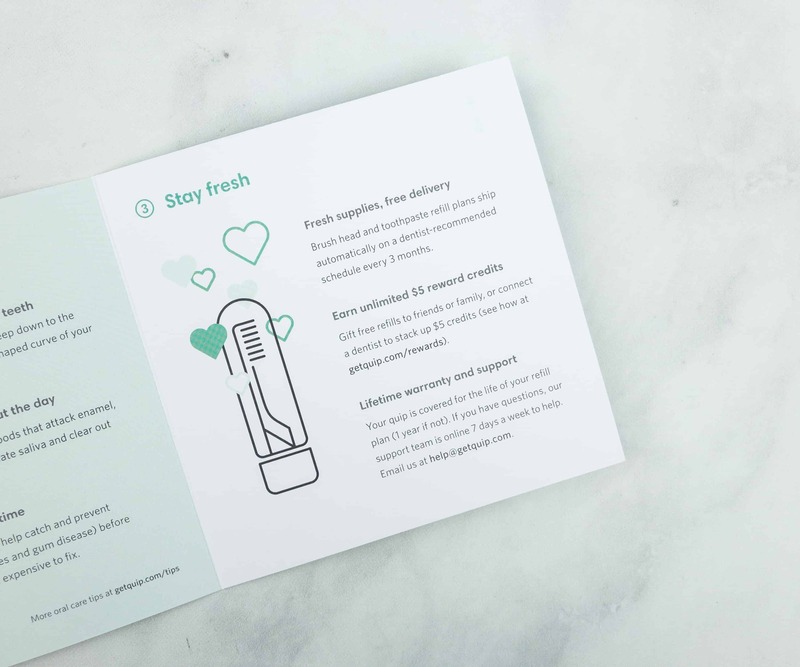 The brush head is easily removable for replacement, and when you sign up for the subscription, you’ll know exactly when to switch it out – when your new one arrives! The refill heads are $5, every 3 months. Plus, they even send you a new battery!! Since the toothbrush has a built-in mechanism, they made the handle to be waterproof to avoid possible circuit malfunctions. 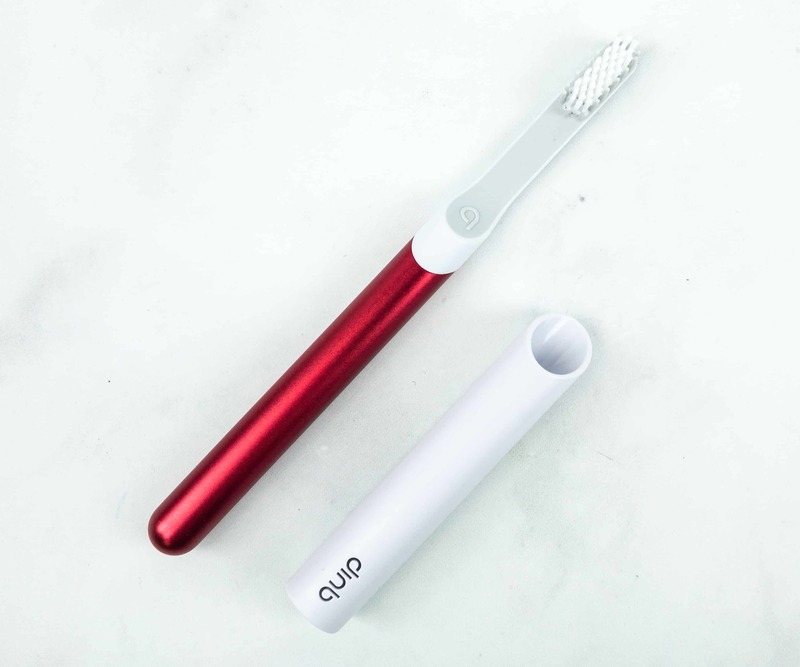 The back of the brush head has a nice rubber tongue scraper – it’s the Quip logo! 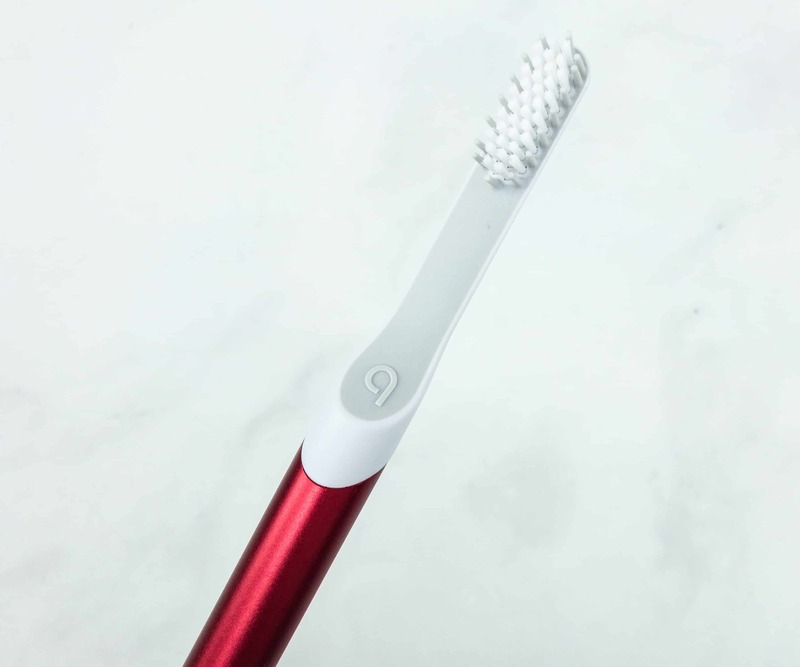 The bristles provide the right amount of sonic vibrations and guiding pulses to help simplify better brushing. It has no excessive power or unnecessary modes, perfect for a wholesome two minute clean. 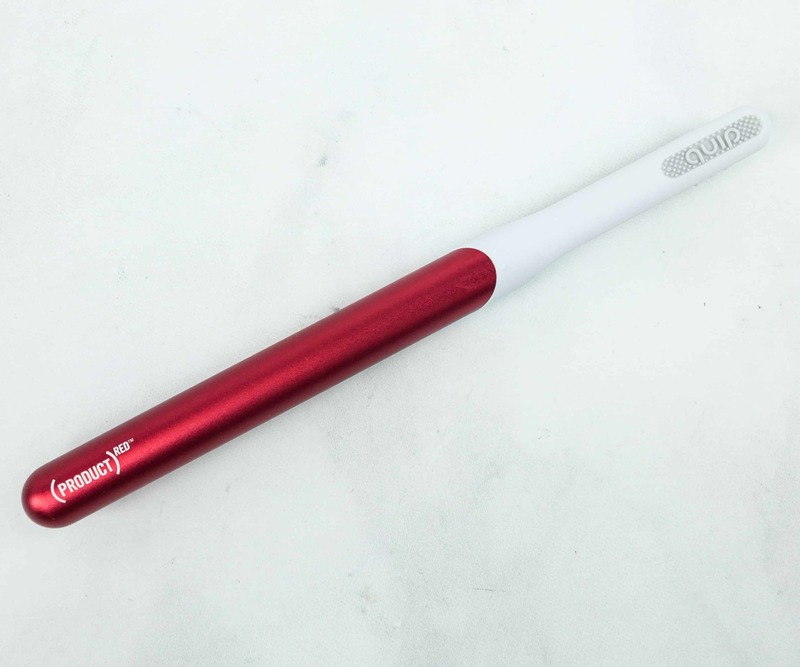 It’s so slim, lightweight, and very handy, making it the ideal brush to bring on-the-go! 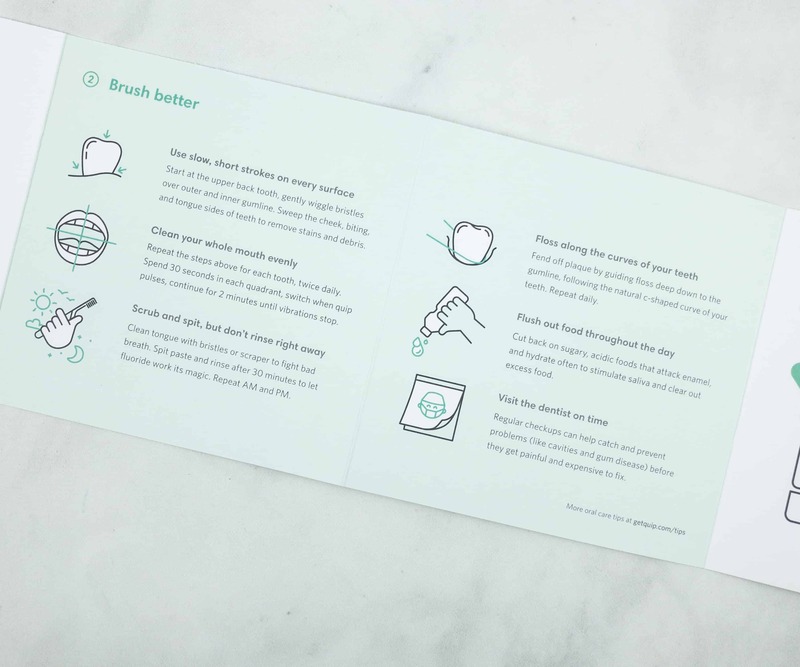 Check out all these helpful tips for a better brushing experience. 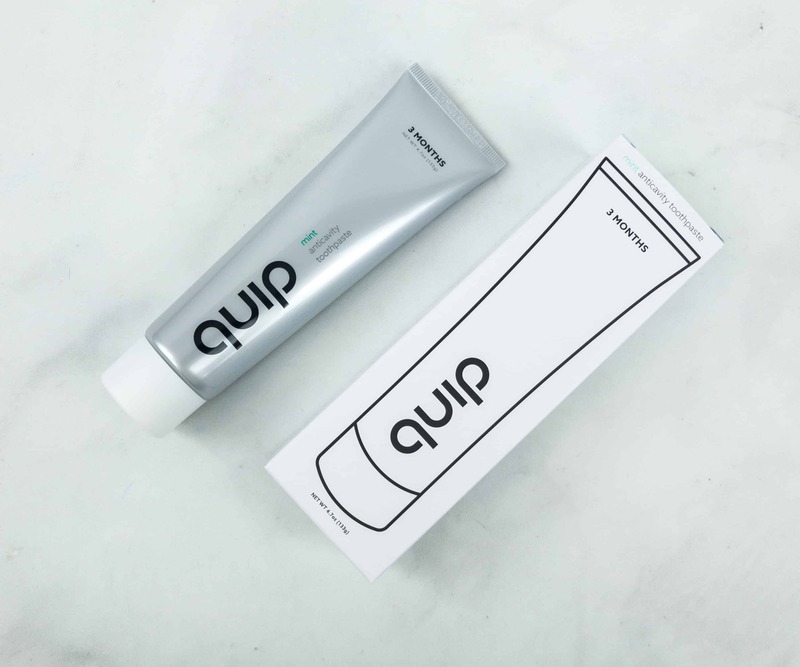 Large (3-month) Quip Mint Toothpaste 4.7 oz. 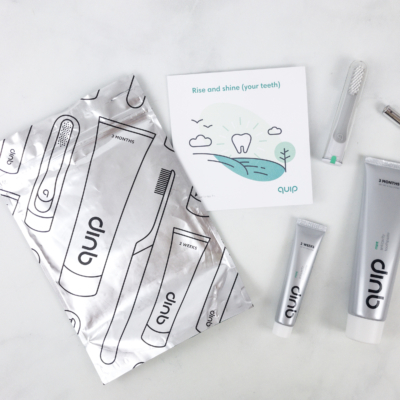 ($5) Aside from the brush, the subscription also includes two Quip toothpaste: one two-week pack and the other is a three- month pack. It is designed to keep your teeth clean, healthy, and strong while providing your mouth a fresh feel all the time. 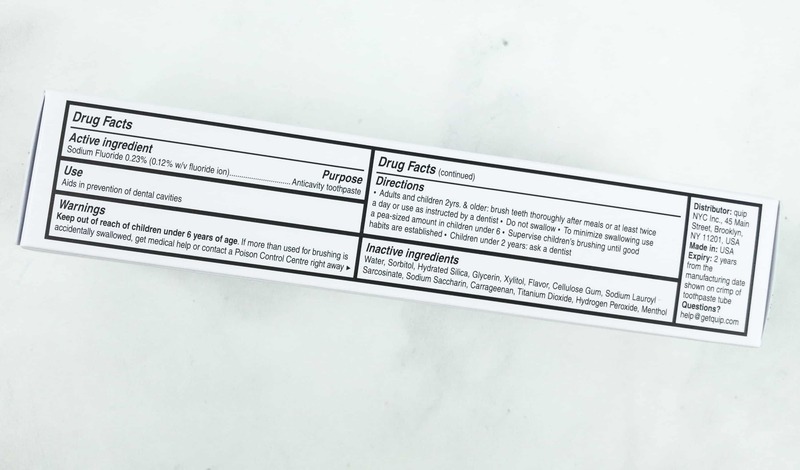 The back of the box indicates essential information about the toothpaste like ingredients, warnings, and directions for use. Good to know, their toothpaste does not contain sodium lauryl sulfate (SLS). 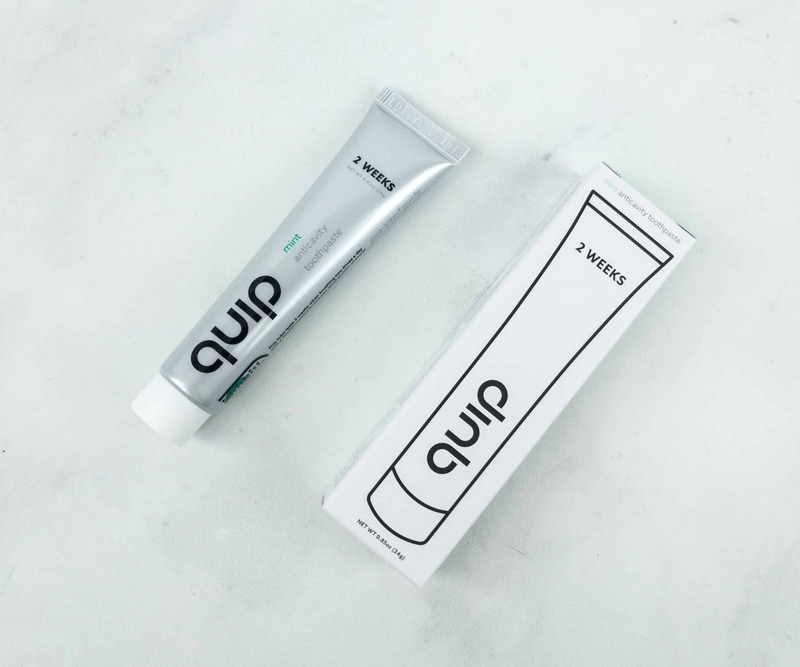 Small (2-week) Quip Mint Toothpaste 0.85 oz. ($5) This two-week pack is way smaller than the other, since it is designed to be more compact and light so you can bring it even on a trip! This isn’t included in the starter set, but you can add it on. The brush head and toothpaste refill plan ships automatically scheduled every 3 months. You can also get $5 credit for every refills you’ll give to friends or family. Plus, your quip is covered for the life of your refill! 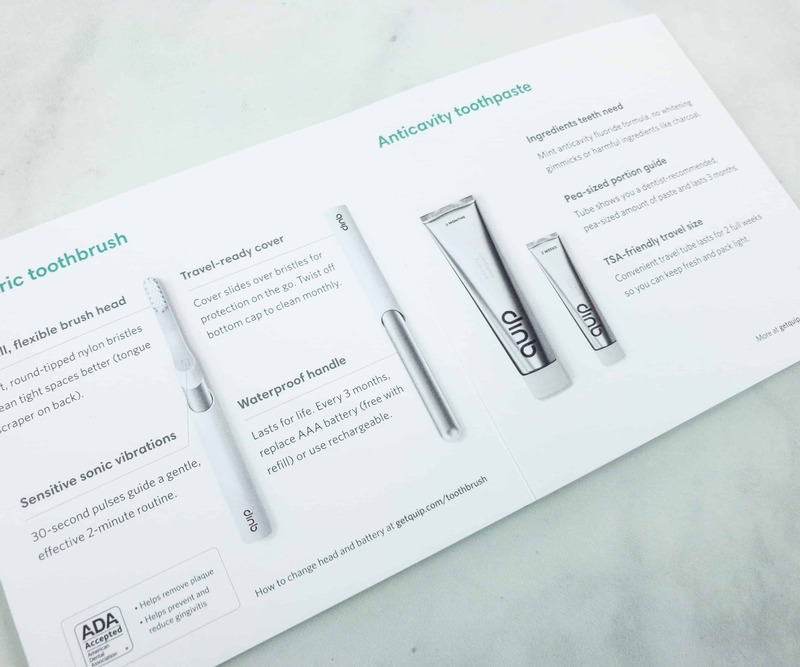 quip offers a lifetime guarantee for all quip brushes that are associated with an active refill plan! For items not associated with an active refill plan, your quip will be covered until one year from the date of purchase. It’s awesome knowing that I don’t have to worry about breaking my brush as long as I subscribe to refills (which are really inexpensive!). Quip is definitely a must-have subscription! 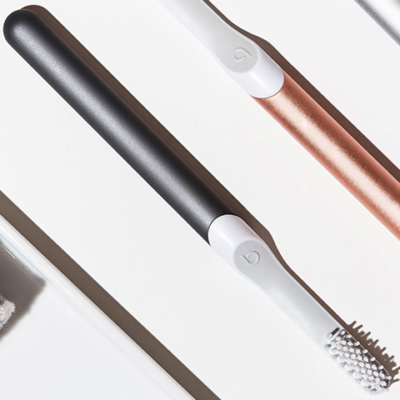 The toothbrush is so slim, well-designed, and looks really cool. 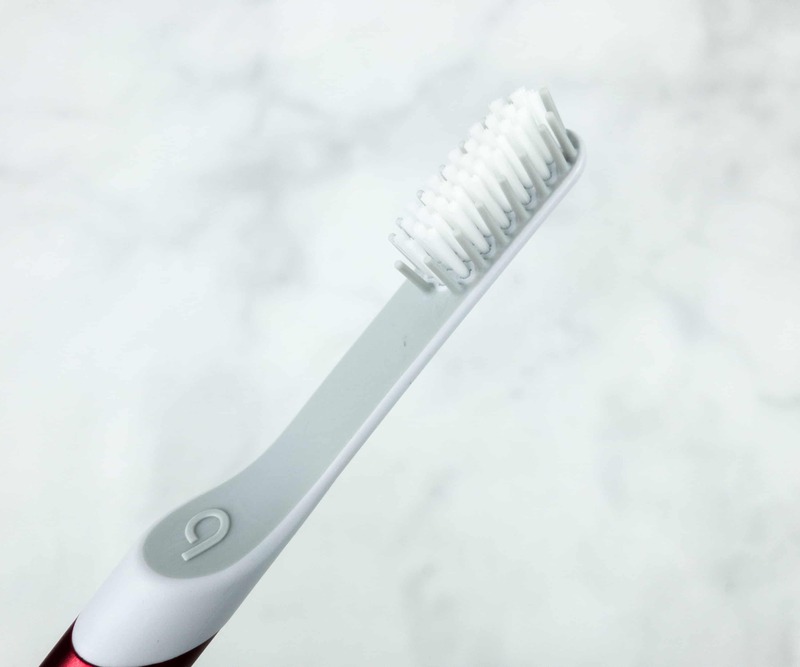 It’s the perfect toothbrush to bring anytime, anywhere. The inclusion of toothpaste makes this subscription complete, and adding a travel pack toothpaste makes it so special. The best toothbrush for you is the one you enjoy most, are comfortable using and that guides a better brushing routine and Quip really fills the bill! I love the soft bristles, the easy vibrating mode, and the fact that it’s nice and slim and not heavy. 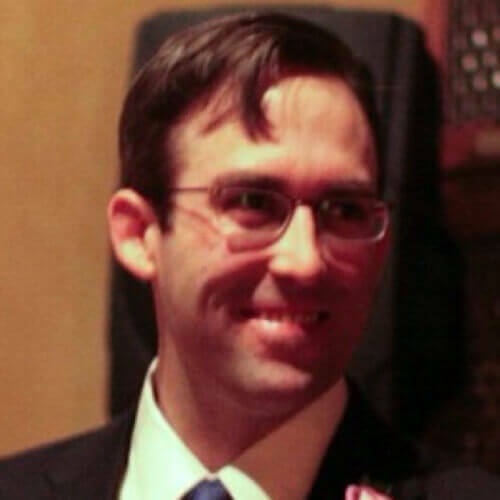 I definitely feel my oral care routine has improved since I started using Quip! 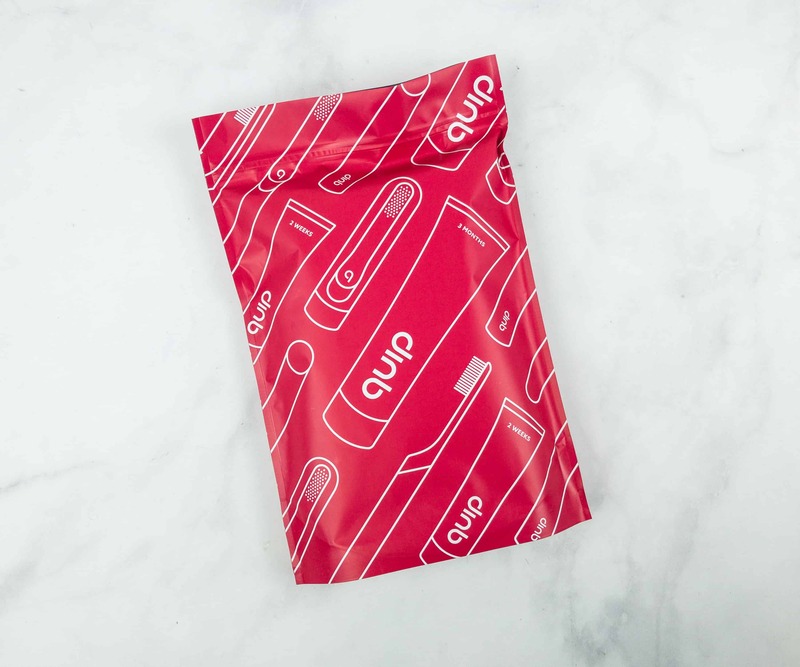 Are you getting a Quip subscription? 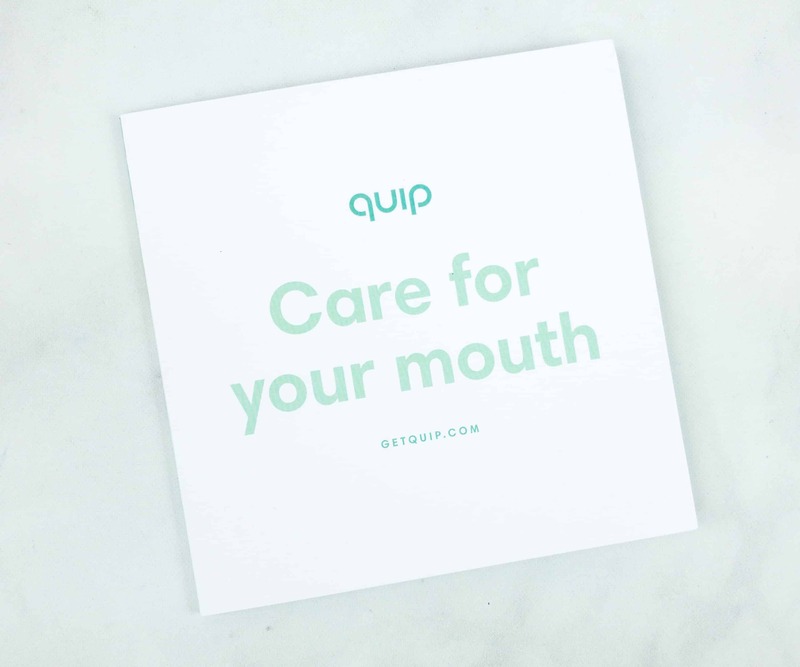 Visit quip to subscribe or find out more! A healthy mouth helps you look, feel and live healthy, yet most of us neglect this essential daily care routine. 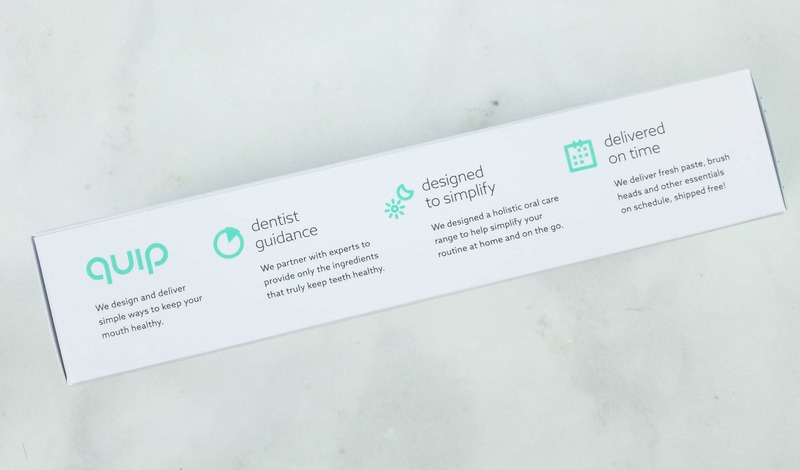 We designed an electric toothbrush and service to simplify healthy habits, based on dentist advice, not selling more gimmicks, to keep you fresh and healthy for life!